Download mode on Samsung Galaxy Note 4 phablets is also known as Odin mode. The Odin flashing tool was never officially released for the Samsung Galaxy Note 4 device, but nearly all people who are Samsung enthusiasts have at least hear and know about the Odin flashing tool. Essentially, before you can connect your device with Odin to flash files, you must put the device in download mode. You must boot the device in download mode starting with the device off first or else it won’t work. Furthermore, you want to boot it in the download mode before connecting it to the computer or else Odin won’t recognize your device. You should consider backing up your Galaxy Note 2 devices data before starting the steps. As most of you will well know, the download mode is an official operation give by Samsung and does not wipe your data. However, the reasons for you wanting download mode might be to flash something unofficial like a custom recovery. If that sounds like you and your plans with download mode, you should backup the data. Make sure you have already downloaded the Odin version you plan to use — the Odin 3.09 is the most popular version today. Extract that Odin file and transfer it over to your desktop on the Windows PC. Run the Odin app on your computer so Odin is already open and waiting for when your device is in the down load mode. On your Samsung Galaxy Note 2, quick-press the Power button and then tap the Switch Off option from the Device Options menu. 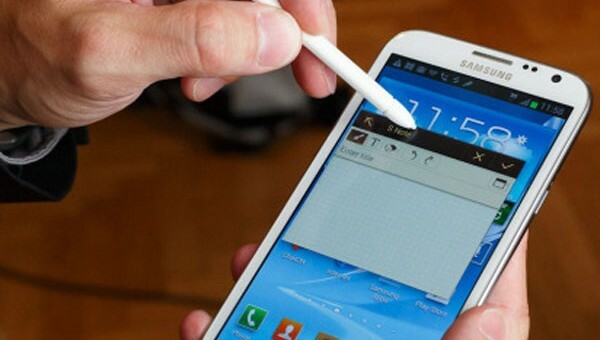 If you have an unresponsive Samsung Galaxy Note 2 device, you need to long-press the Power button instead. Press the Power button once and see if it turns back on. If you see the Android boot logo then you know the device was off. Let the device run through its normal boot sequence before turning it back off again using the same steps you used above. Reboot the Samsung Galaxy Note 2 by holding the Volume Down + Home + Power buttons simultaneously. Keep holding the three button combination until you see a warning triangle and some text on the display of your mobile device. that text should read press the Volume Up button. Let go of the Volume Down + Home + Power buttons and just press the Volume Up button once. Your device will get past that warning screen and now officially be in the download mode ready to connect t the computer. Find the USB cable that works with your device and connect one end to the Samsung Galaxy Note 2 and the other end to the USB port in the computer. Continue on with the guide you were following before learning how to get your Samsung Galaxy Note 2 into the download mode.